Peter Pan, the book based on J.M. 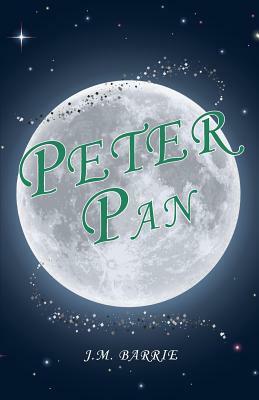 Barrie's famous play, is filled with unforgettable characters: Peter Pan, the boy who would not grow up; the fairy, Tinker Bell; the evil pirate, Captain Hook; and the three children--Wendy, John, and Michael--who fly off with Peter Pan to Neverland, where they meet Indians and pirates and a crocodile that ticks. Renowned children's-book artist Michael Hague has brought the amazing adventures of Peter Pan to life. His beautiful illustrations capture the wild, seductive power of this classic book. This newly designed edition will be enjoyed by fans young and old alike. A Scottish novelist and playwright, best remembered today as the creator of Peter Pan. He was born and educated in Scotland but moved to London, where he wrote a number of successful novels and plays. There he met the Llewelyn Davies boys, who inspired him to write about a baby boy who has magical adventures in Kensington Gardens (included in The Little White Bird), then to write Peter Pan, or The Boy Who Wouldn't Grow Up, a "fairy play" about an ageless boy and an ordinary girl named Wendy who have adventures in the fantasy setting of Neverland.